2012 saw the poker community go through a number of ups and downs, highs and lows, but as 2013 approaches the poker industry could bed at its strongest point since 2010. Black Friday is firmly in the rearview mirror, and legislation to regulate online poker is being introduced all over the world, including the United States. So before we turn the page on another year let’s reflect on the year that was. In this, the first installment of the two-part series, I’ll look at the positive moments from 2012. I’m using Daniel Negreanu’s vlogs as the model, but over the course of 2012 we saw a number of poker players become more outspoken about the direction the game was taking, WITHOUT pushing some personal agenda. In addition to Negreanu, the poker world heard from players like Matt Glantz, Phil Galfond, and Mike Sexton on a variety of topics ranging from Full Tilt Poker and the behavior of young online players at the tables, to dress codes and shot clocks. After a couple months of bated anticipation, there was a collective roar of approval in the summer of 2012 when PokerStars officially purchased Full Tilt Poker and settled with the Department of Justice. 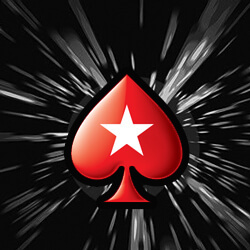 The deal firmly cements PokerStars as THE poker site, and changed the lives of countless players who were waiting for their Full Tilt Poker accounts to become available once again. Overall the 2012 WSOP was one of the more uninteresting series in the tournaments history, but there was a single event that captured the hearts of minds of poker players for a few days, the Big One for One Drop, $1,000,000 buy-in event. One Drop could not have been more successful, as everything went off without a hitch, and the play was amazing, with a number of memorable moments including folded quads and a massive overbet with Pocket Aces by Phil Hellmuth. With a final four that included Phil Hellmuth, Sam Trickett, Antonio Esfandiari (the eventual One Drop winner), and Guy Laliberte, the tournament couldn’t have been scripted better if it were a Hollywood movie. The WSOP almost received a second shot in the arm as two ladies flirted with the final table in the Main Event for the first time since Annie Duke back in 2000. Gaelle Baumann and Elisabeth Hille ended up fin finishing 10th and 11th respectively. The run by the two women nearly made the 2012 WSOP one of the most memorable in recent history. At the 2012 WSOP in Las Vegas Phil Hellmuth won his 12th WSOP bracelet, putting him two ahead of Johnny Chan and Doyle Brunson, but the Poker Brat still had another big run in him, which he pulled off at the 2012 WSOP Europe, where he won the Main Event! Hellmuth now has 13 WSOP bracelets, and has finished second in the WSOP Player of the Year race two years in a row; a remarkable achievement in its own right. It’s now safe to say that Phil is the greatest WSOP player in the history of poker.